"annyeonghaseyo!" 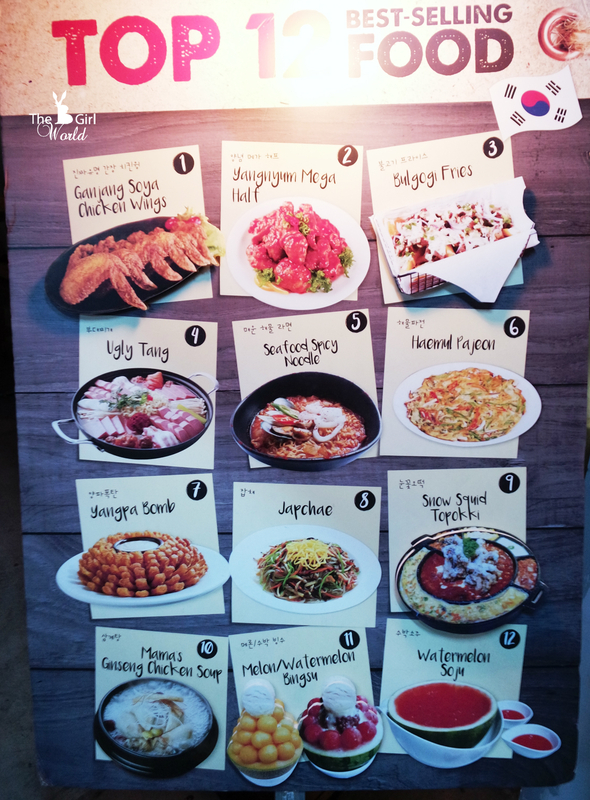 It's time for K-foods! I am so sorry because this is actually my long due post. 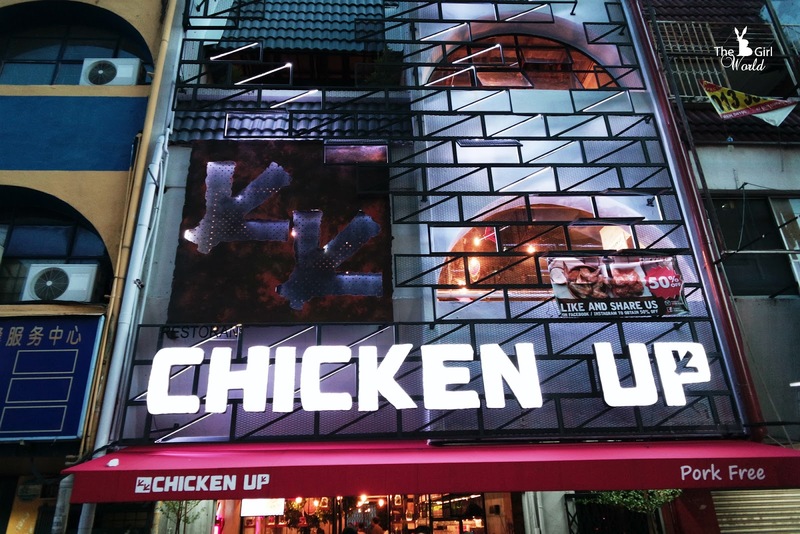 Chicken Up, is the "number one Korean Fried Chicken in Singapore", has finally landed in Malaysia! As a fan of Korean food, definitely i will not miss this out! 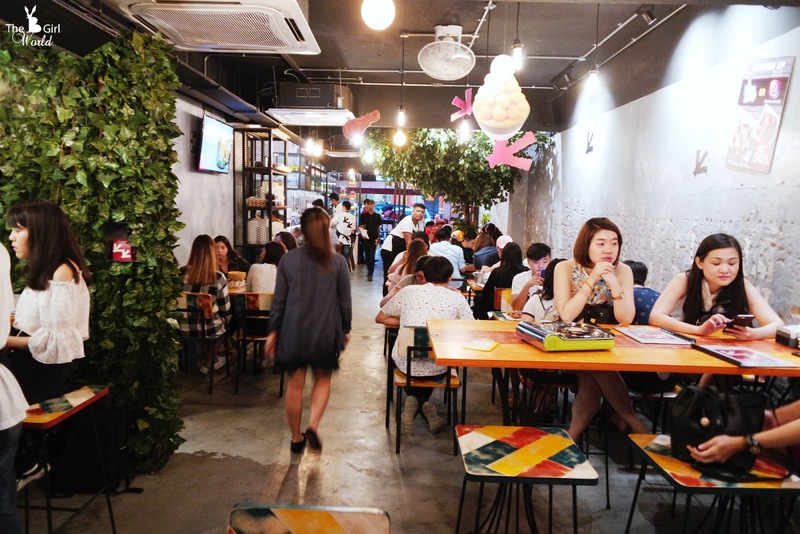 Chicken Up has just opened its doors in the heart of Subang Jaya, strategic located next to SS15 Courtyard Mall and a popular and vibrant commercial and residential surrounded. 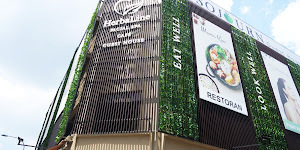 Last month when i reached, i was surprised to see a long queues there although that is weekday. I am wondered how amazing they really taste, let's check it out! 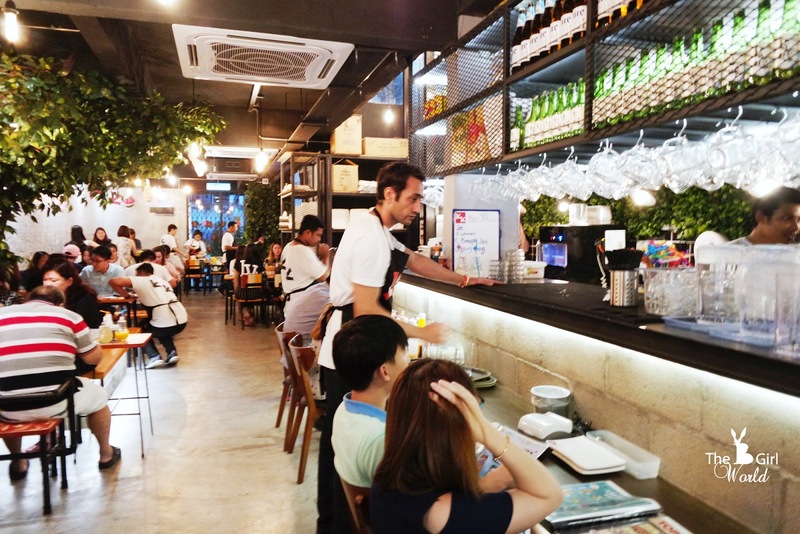 Chicken Up at Subang SS15 is a 3-storey restaurant with an impressive 120 seats, casual style in the interior implies space, comfort and casual hang out space is ideal for relaxing dining with your family and friends. 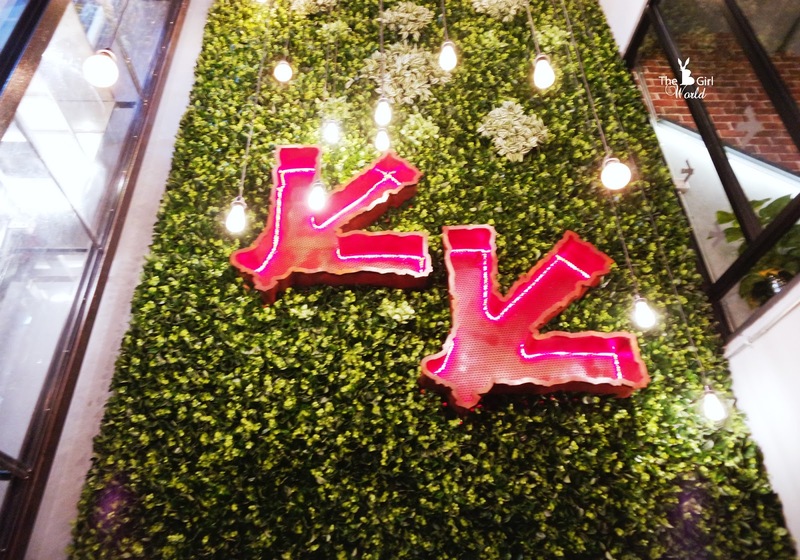 If this is your first time to visit or you don't have any idea to order, you can go for their Top 12 Best-Selling Food. 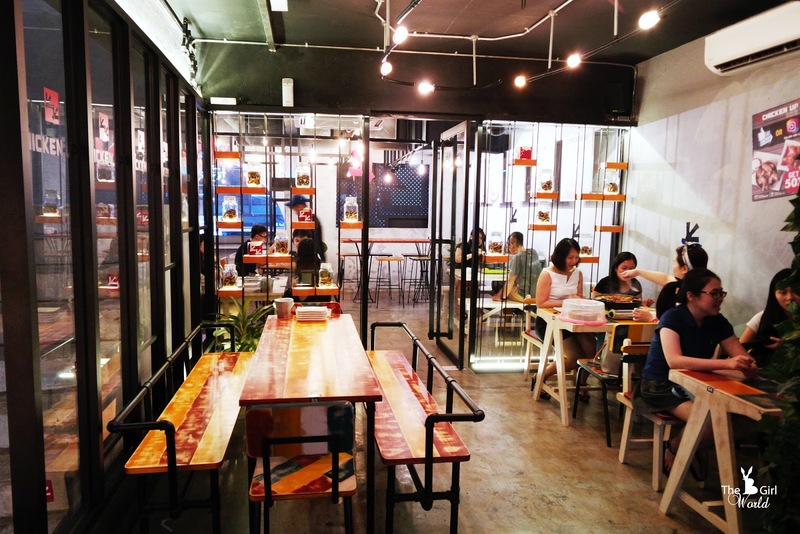 The Best seller in Malaysia is Ganjang Up Chicken Wings, a garlic-soya based blend of deep-fried Korean chicken recipe coated with Chicken Up's 5 special soy sauce blends that is oozing with flavours. It can be perfect for kids or non-spicy eaters. As it is covered with a layer of sweet sauce, well-marinated with fragrant seasoning for 12 hours, it surely will tickles your taste buds with its unique sweet and tangy flavour while you take a bite of this crispy outside but tender and juice chicken wings. So delicious! 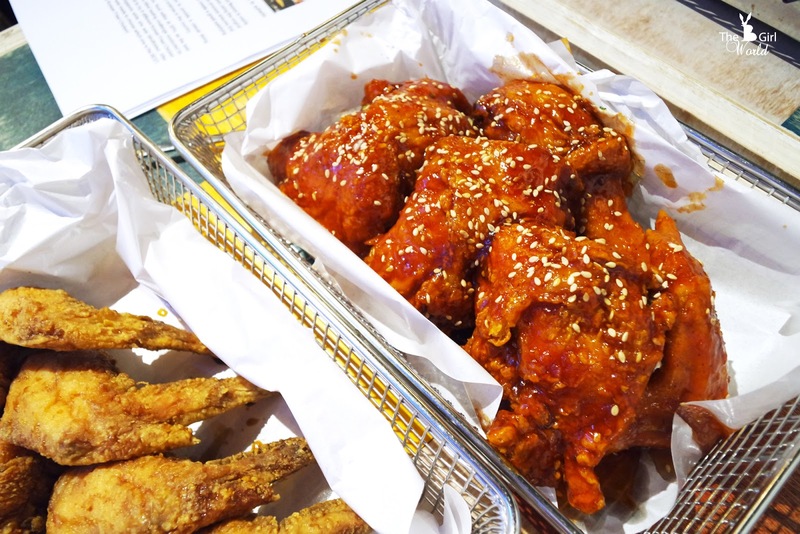 Marinated fresh chicken with fragrant seasoning for 12 hours and then deep-fried to perfection to seal in the flavours, coated with Korean sweet sauce and sprinkled with sesame seeds. Five coating sauce are available: Crispy Up (Original), Ganjang Up (Soya Sauce), Yangnyum Up (Korean Sweet Sauce), Spicy Yangnyum Up (Spicy Sauce). 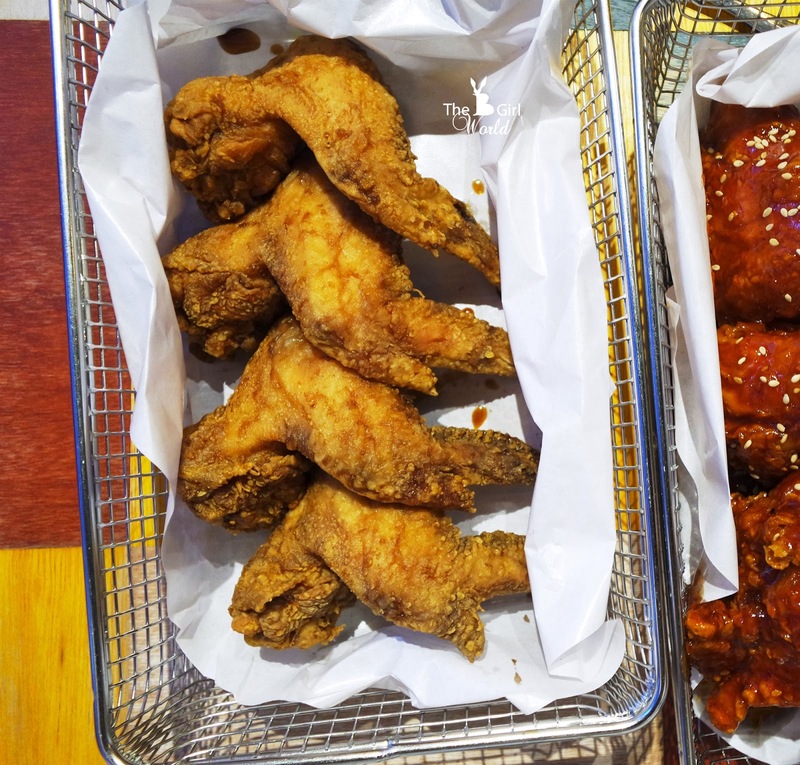 Since we opt for Ganjang Soya Chicken Wings, so we choose Yangnyum Up flavour for this Mega Half Chicken to have Korean sweet sensation. Must Try. 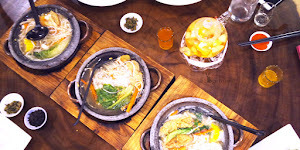 Serving up to 4 pax. 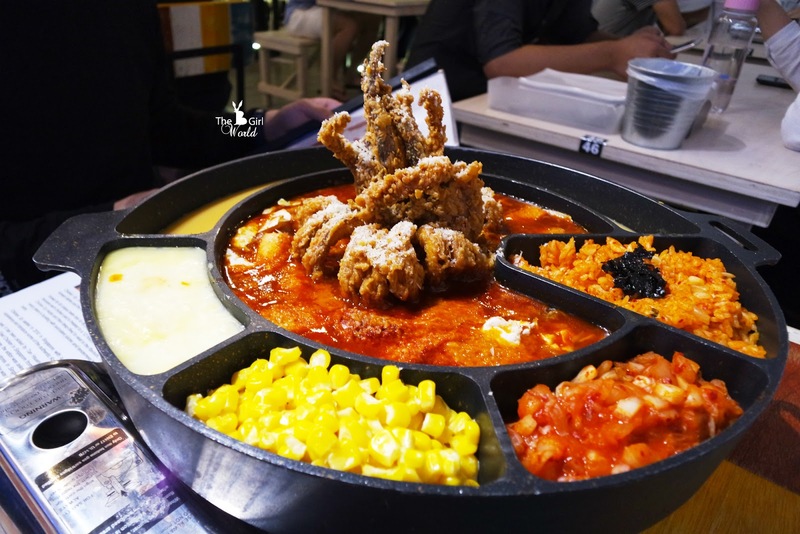 In Singapore, Chicken Up is rated as number one Fried Chicken but it goes viral with their UFO topokki in Malaysia. 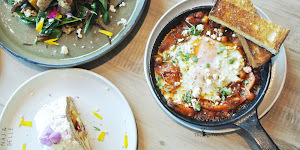 I think because of every country has its own unique taste in food, and each is delicious in its own way, agree? 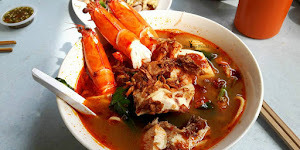 No doubt, this is my most favourite dish at Chicken Up too! 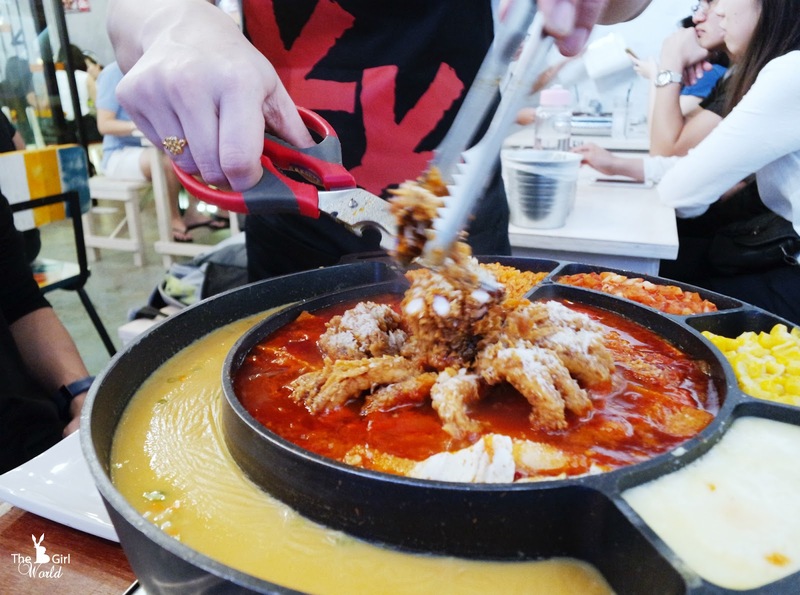 Look at the beautiful giant deep fried breaded squid on top! WOAH!!! 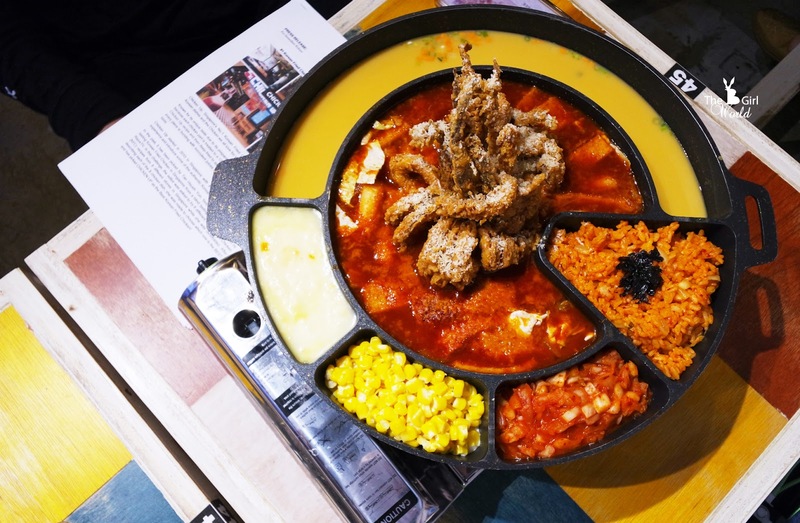 Known as UFO Topokki is comprised of a soft rice cake and fish cake with gochujang sauce (spicy chilli paste sauce), accompanied with some side dish includes caramelised kimchi, cheese, corn cheese, kimchi fried rice, steamed egg, grinned padding cheese on the ring. First, the waiter will cut the whole squid into smaller pieces for you, and then turn on the fire and boil this UFO until partly cooked. Please take note that hot pan will begin to cook eggs instantaneously and you have to quickly stir the egg to avoid it overcooked and become harden. If you've gone overboard with the spicy, just take a dip into snow cheese to tone down overly the spiciness. But i found the cheese is not cheesy, too watery. 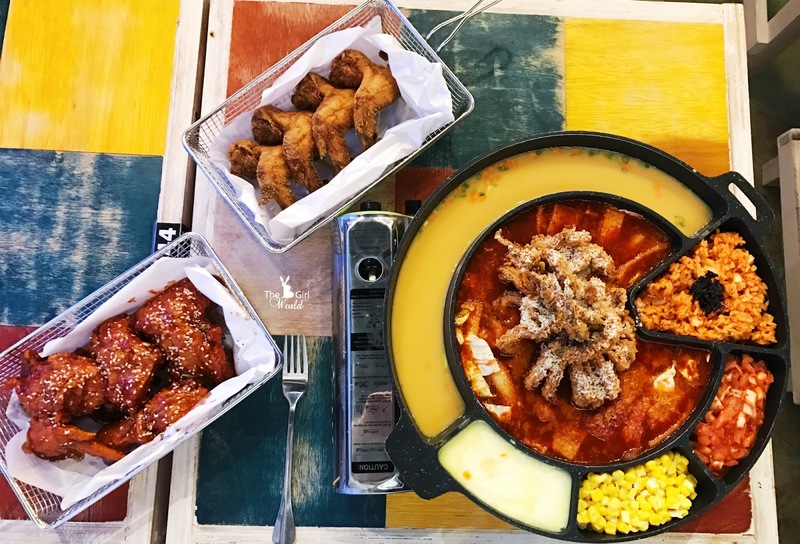 I personally love the chewy topokki and crunchy deep fried squid which already well-infused with the spicy chilli paste sauce, taste superb! 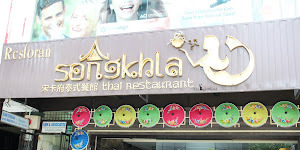 You must try it! The presentation is eye catching, it looks like a flower. Try to guess what is this? 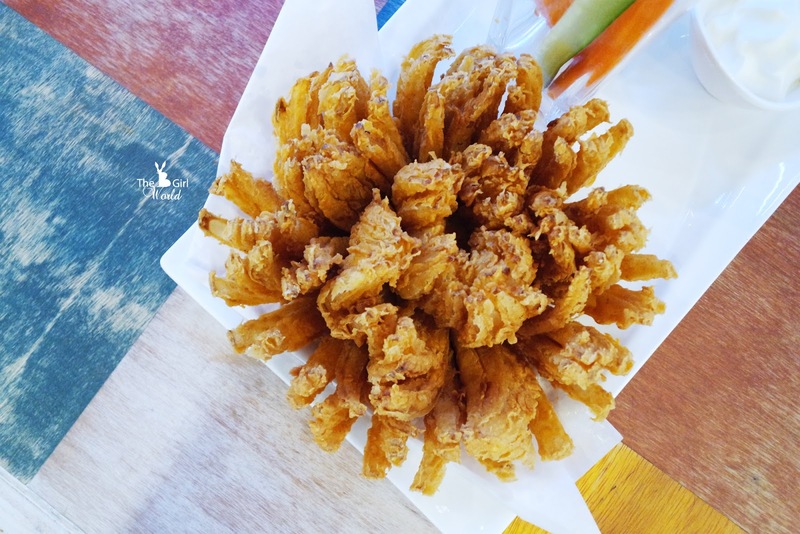 Ta~daa~~~ it is a crispy golden onion petals served with carrot and cucumber sticks and Chicken Up's signature sauce (taste similar with cream cheese sauce). 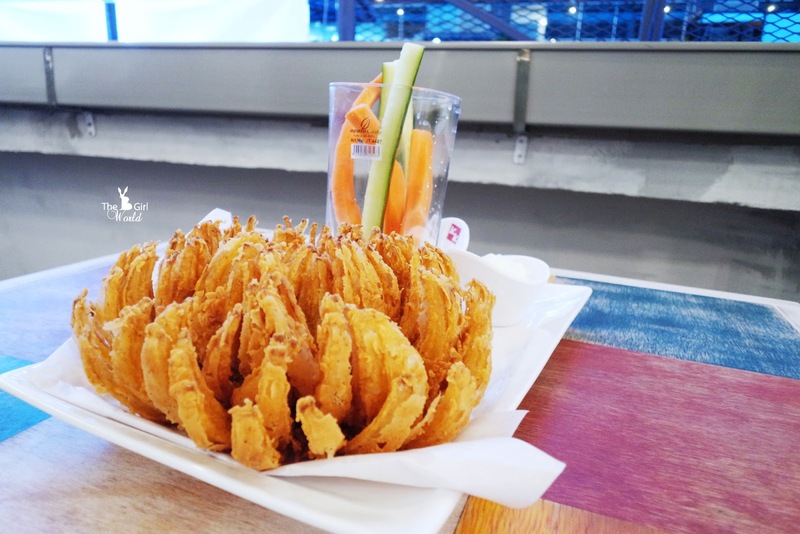 I don't eat onion, so according to my friend's opinion : " It was so crispy like potato fries, with strong onion taste." 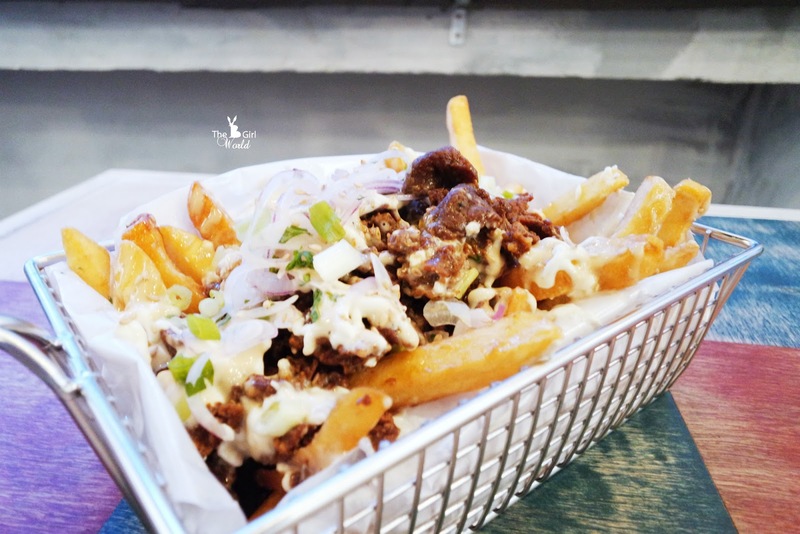 It is one of the best Bulgogi fries i had! 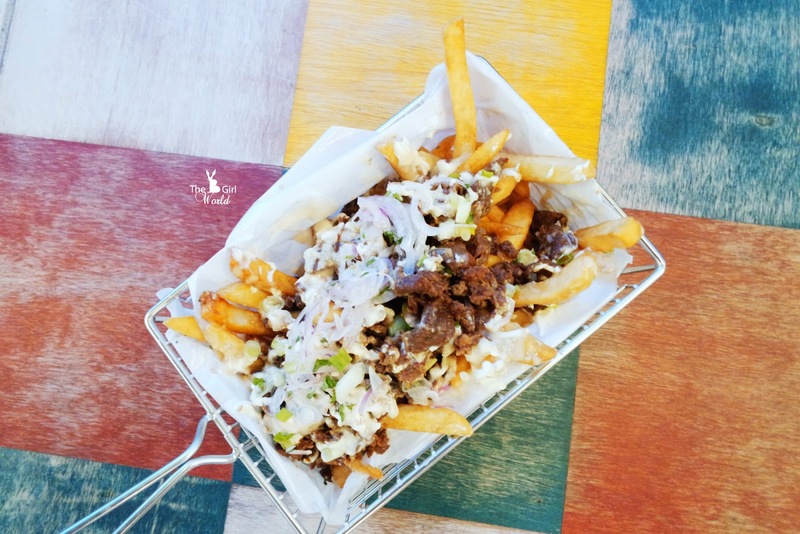 Made of crispy golden fries piled up and topped with Bulgogi(beef) which well-marinated in soy sauce, then drizzled over with the white garlic sauce and added with sprigs of coriander to garnish. Get excited as Chicken Up introduces, its new invigorating, power-packed cocktail drink, the Sojurita and the Beerita! It comes in several flavours for Sojurita and Beerita, i choose Lychee. 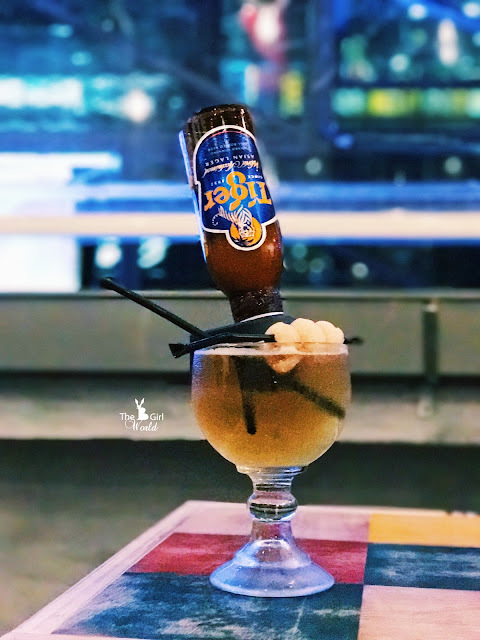 It's like a slushy, fruity, subtly sweet and extremely refreshing alcoholic drink all in one. I love the refreshing sensation on my dry tongue, as i want to tone down overly fiery food. It can be shared by 2 persons but sorry, i finish it by myself, LOL! 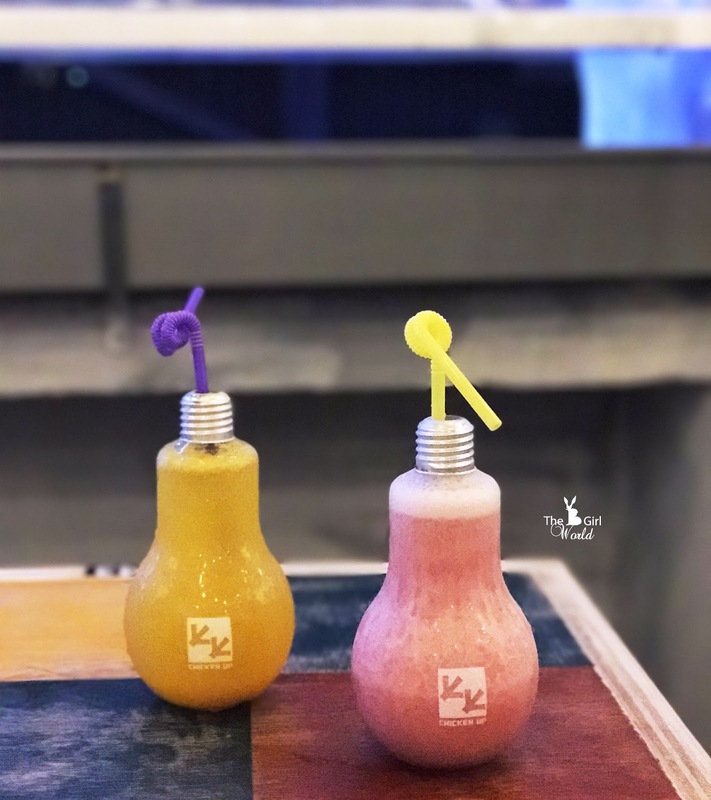 Non-drinker can go for these, soda / juice or smoothie is beautifully filled in light bulb container that will melt any girl's heart. The pink guava juice is so good. Beware! The portion is big, good for sharing. "No matter how full you are, there's always room for dessert." A bit of dessert is the perfect way to end a meal, Melon Bingsu is the one that you never miss out! 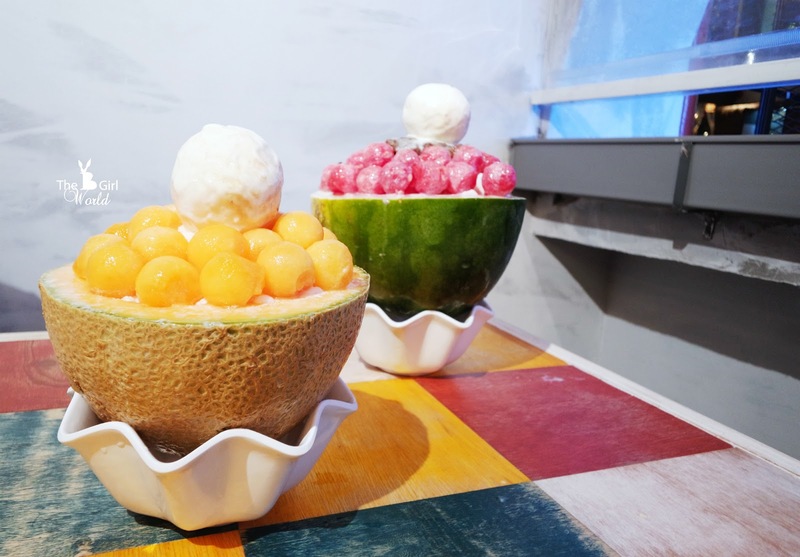 Unlike other common Bingsu, Chicken Up's version are basically made of frozen milk mushed finely all together with its fruity toppings on its shell. When this 2 superstars were served on the table, my friend non-stop yelling at me with "OMG so nice!" , "OMG the melon is so sweet!" , "OMG the milk....the milk is superb!". So yay! it is superb delicious and additive indeed. It is not screamingly sweet or rich, it is just so delicately balanced with the melon which has heavenly fragrance, sweet and crunchy texture. Scoop out a spoon of melon, ice-cream and frozen milk, just imagine the wonderful contrasting texture that melts in your mouth while you eat it. However, the Watermelon Bingsu has less rich tasting and not very fruity. But anyway, it gives a nice closing note to our Chicken Up dinner, with a delicious sweetness.